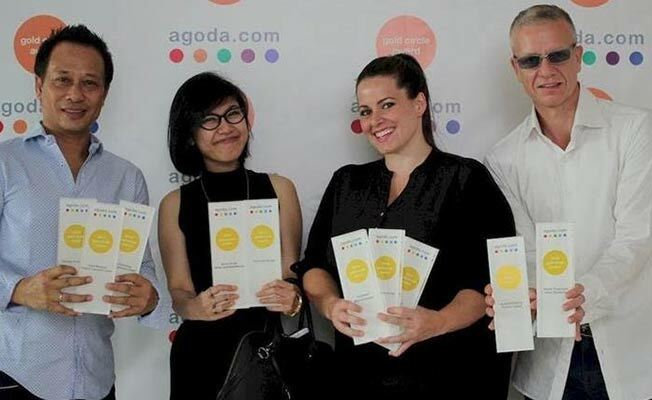 Indonesia, February 2016 - Archipelago International, Indonesia's largest hotel management chain, has won 10 Golden Circle Awards from Agoda, for their ecommerce efforts in 2015. The awards are given to hotels around the world that offer the best online booking experience to travelers, including, competitive pricing, utilization of Agoda’s custom-built Yield Control System, a deep understanding of the complexities of the online booking industry, and aggregate customer reviews. Due to Archipelago International's strategy to have a central corporate team manage the entire ecommerce efforts at all their hotels, it has allowed them to excel above and beyond other hotel chains in the country. This year only 1,609 hotels received awards around the world, with more than 120 awards given to hotels in Indonesia, 10 of which were won by Archipelago International alone. With more and more people booking online, maintaining a commitment to cutting-edge technology and strong partnerships with online travel agents, it has enabled Archipelago International guests to book their accommodation more quickly, conveniently and seamlessly through user-friendly online systems. “I am so very proud of our Corporate ecommerce team for their relentless efforts year after year in assisting our hotels to perform at the top of their game online. It’s truly an honor to be a part of Agoda's top 1% of their hotels and listings across the entire world. We continue to invest to ensure the booking process on our site, and other OTA sites is as easy possible for our customers.” said Tenaiya Brookfield, VP of Sales & Marketing Archipelago International. In addition to its most recent accolades, in early 2016, 2 of 7 of Archipelago International's brands received two significant Indonesian awards, with ASTON being named as “The Most Popular MICE Hotel”, and favehotel awarded as “The Most Popular Budget Hotel 2015”.